Sebastian Errazuriz is a Chilean-born, New York-based Artist, Designer and Activist. He received international acclaim for his original and provocative works on a variety of disciplines. Blurring the boundaries between art, tech, design and craft his works are acquired by art collectors and museums worldwide. His work is always surprising and compelling, inviting the viewer to look again at realities that were often hidden in plain sight. Errazuriz became, at the age of 28, only the second living South American artist to have work auctioned at Sotheby’s Important Twentieth Century Design auction. In 2015 Errazuriz was invited by Times Square Arts to present his public art installation “A Pause in the City that Never Sleeps” on 50 giant screens in Times Square. The same year Errazuriz was the honoree for the Gala of the NY Museum of art and Design. In 2014 Sebastian Errazuriz was subject of a Museum retrospective at The Carnegie Museum of Art. He was also invited to give 2 Tedx Talks and opened a double solo show in the New York Galleries who represent his work. In 2011 he was selected for the Compasso d’ Oro. In 2010 he received the title of Chilean Designer of the Year. In 2007 Errazuriz was selected one of the top emerging international designers by I.D. Magazine. Gestalten launched a monograph of his work in 2013. In 2017, Errazuriz founded Cross Lab, his second studio that functions as a young creative studio that mixes art, technology, design and communications to produce innovative tech solutions for contemporary issues. Sebastian Errazuriz’s work has been included in exhibitions and collections at the Palm Springs Art Museum, Copper Hewitt, National Museum of Design in New York, Peabody Essex Museum in Salem, Kiasma Museum of Contemporary Art in Helsinki, The Vitra Museum in Weil AM Rheim Germany, The Museum of Art and Design in New York, The Bellevue Arts Museum in Washington, The Mint Museum in Charlotte, The Corning Museum of Glass in Corning, NY, the National Museum of Fine Arts in Santiago, Albuquerque Museum in Albuquerque, Museo Amparo in Puebla in Mexico and Peabody Essex Museum in Salem. The coverage of his creations has been a successive string of viral responses. His collection 12 Shoes for 12 Lovers generated 35 million hits on Google and his Wave Cabinet has over 10 million online views. Errazuriz has been featured in multiple magazine covers and portrayed in thousands press articles. He has received critical acclaim from The New York Times, The Financial Times, and the Wall Street Journal, among others. In addition, his work has been featured in mainstream TV on BBC, CNN, ABC and NY1. 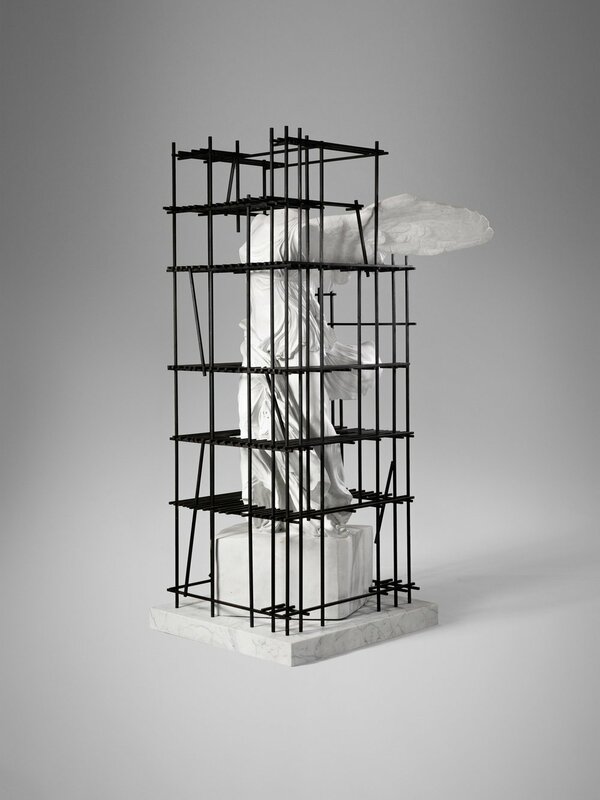 'Anything You Destroy, We Will Rebuild' is Sebastian Errazuriz's debut exhibition at David Gill Gallery. It runs 1 June - 4 July 2018.